It seemed another isolated, horrific episode of sexual violence in India, perpetrated against a powerless girl by brutal men. But in the months since Asifa’s murder, the case has become another battleground in India’s religious wars. Hindu nationalists have turned it into a rallying cry — not calling for justice for Asifa, but rushing to the defense of the accused. All of the men arrested are Hindu, and Asifa’s nomadic people, the Bakarwals, are Muslim. Some of the police officers who investigated the case are also Muslim, and for that reason, the Hindu activists say, they cannot be trusted. This week, a mob of Hindu lawyers physically blocked police officers from entering a courthouse to file charges against the men. The officers retreated to a judge’s house later in the evening to complete the paperwork. Protests and counterprotests are now spreading. On Wednesday, much of Kathua, a small town in northern India near where Asifa was killed, was shut down by demonstrators, including dozens of Hindu women who helped block a highway and organize a hunger strike. Several prominent members of India’s dominant political force, the Hindu nationalist Bharatiya Janata Party, are pushing to have the case taken out of the hands of the state police, arguing that the Central Bureau of Investigation would be a better, more neutral agency to handle it. Many suspect this is an attempt to win leniency for the accused, noting that the bureau is an arm of the central government, which the Bharatiya Janata Party controls. For generations, Bakarwal nomads, who drift with their herds across the plains and hills of northern India, have leased pastures from Hindu farmers for their animals to graze in winter. But in recent years, some Hindus in the Kathua area have begun a campaign of abuse against the nomads. Villagers said Mr. Ram was their ringleader. 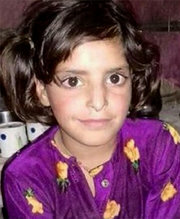 Feelings between the two communities are so bitter that when Asifa didn’t return from the meadow, her parents immediately suspected that something terrible had been done to her. They enlisted the police and went to the small temple run by Mr. Ram works. He insisted that he had not seen the girl. The temple was locked. According to the police, at that moment Asifa was being starved inside, hidden under a table and some plastic mats. Mohammad Yusuf Pujwala, Asifa’s father, said his daughter was killed for one reason: to drive the Bakarwals away. “But we have land here and life here,’’ he said. “This is home for us.’’ He sounded almost too tired to grieve. He said Asifa had never been to school, even though her brothers had. Her favorite thing to do was play in the meadow. Suhasini Raj contributed reporting from New Delhi, and Sameer Yasir from Kathua, India.